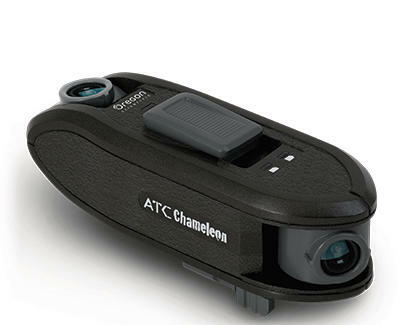 Like a cross-eyed hammerhead shark, the new ATC Chameleon cam sports lenses on either end of an oblong body that can rotate in opposite directions (wait... maybe that's more like a chameleon), meaning if you were to go sky diving, you could simultaneously capture split-screen shots of the approaching ground and your terror-stricken face. What's more, it's compatible with a range of mounts, so you can attach it to everything from helmets, to bikes, to cars, to surfboards, to... GAGH, ANGRY CROSS-EYED HAMMERHEAD SHARK ATTACK!! !